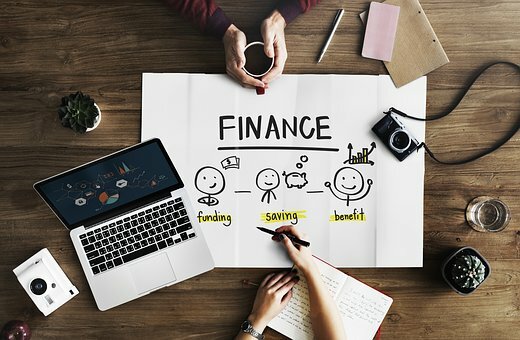 It doesn’t matter whether you’re running your finances as an individual, as a family or as a small business, what’s crucial is that you try and stay in the black. Falling behind on payments and commitments can leave you in a very difficult situation and, without taking remedy measures, can set you on a turbulent financial future – and possibly harm the creditworthiness of you and your company (if you have one!). Here are eight ways to help keep your finances in check, across your personal and working life. As with most things in life, you need to plan and think ahead, especially if you want to maximize your chances of being successful. The same theory applies to your finances, and the best way you can do this is to set yourself a weekly and monthly budget. Think about all the things that you need to buy over a set period of time, ranging from food to gas bills. Note it all down, including the amounts you want to spend and any due dates, and formulate an overall spending plan. Don’t think that you have to do this on a scrappy piece of paper, although some people prefer this. There are a vast variety of online apps you can download on your phone or computer which does all the boring bits for you. All you need to do is type in all the data. Once you have a budget in place, you’ll obviously want to try and stick to it as much as possible. If you spend too much in one area during the month, and then less in another, that’s fine, it will all balance itself out. But, if you’re overspending in all areas, then that’s when you’re going to start to get problems – and get stuck in a financial hole. Review your budget regularly and adapt it where necessary. You’ll also want to reflect any one-off bills or any increases in income. Life’s busy these days, making meal times difficult in many households. If you’re out working and getting home late, the risk is that you’ll either pick up some convenience foods in the local grocery store, go to a restaurant or get a take-out. And that’s just dinner! You may also be buying breakfast and lunch on the go too. Understandably, this can be dangerous for your finances, as you end up spending much more on food than you should be on a monthly basis. You may be damaging your health too. It may sound tedious but try and sit down every week and think about your food requirements for the week ahead. Draw up a meal planner for each day, coming up with creative ideas for breakfast, lunch, and dinner. Obviously, if you have a family, you can do this all together – so you cater for all tastes and diets. If you’re struggling for inspiration for meals, then just head online. You’ll find a wealth of recipe ideas on blogs, websites and so on. Then, when you have your plan together, write down a list of all the items and ingredients you need, and head to the grocery store. Having a list will also limit the possibility of you walking around aimlessly and picking up goods that you don’t need, and which will cost you a small fortune. The idea is not to stop eating out completely. However, if you can be preparing more meals at home in a structured way, you could save yourself a few dollars. At home, you can also make things in bulk and freeze them. So, when there are days when you don’t have much time on your hands, you can pull your ready-made, home-made meals out and get them ready in no time at all. When you do eat out, try and go to places which have special meal deal offers, and look out for vouchers and coupons online. Sometimes you can pick up some great discounts, especially if you have kids. A few dollars saved today could mount up to hundreds over the year! When was the last time you used that gym membership you’ve been paying into for more than a year? Monthly membership commitments can drive up your financial outgoings. Also, if you’re looking to save a bit of cash, then maybe it’s time for a review of all those charges disappearing from your bank account. If you go to the gym lots, and get value for money, then fine, but if you’re throwing dollars in the trash every month, then see if you can terminate any contracts or negotiate a better deal. It could make a big difference to your bank balance. Alongside any monthly memberships, you’re going to have other household bills, such as, rent or mortgage, water and gas. If you have different providers where you live, then think about shopping around for a new deal on your tariffs. The market can be competitive, so check out what switchover deals might be available to you. Also, have a look at other commitments such as insurance policies and TV subscriptions. Are there any you can do away with, or can you get a better price elsewhere? These are also areas where you can put a few extra dollars in your pocket at the end of each month. If you want to cut back on your spending each month, then have a look at any credit commitments you have, or whether credit could help you out. It’s important that you budget for any credit cards or loans, as you don’t want to fall beyond with debt payments. However, using credit in a sensible way could help your personal cash flow. Check out Bonsai Finance, if you’re looking for extra help. It’s one thing keeping your personal finances in check, and another to keep the cash flowing in a small business. If you’re thinking about leaving your day job and going it alone with your own company, then watch where you are stepping. Setting up a small business is not always easy and requires some careful planning, particularly regarding financial planning. You’ll want to take lots of advice about the kind of company you want to set up, the market and how you’re going to operate it. You’ll also need to draw up a business plan, which will be the backbone of your venture and will include all the key financial information. This will be a minimum requirement if you are looking to get some credit for your company from a bank or another provider. Setting up your business is just the start of the journey. Once you have your venture up and running, you will need to keep a close eye to ensure that it’s sustainable and is moving along the growth path you’ve planned for. Key to this will be cash flow. Any business relies on this as the lifeblood. Without a regular flow of cash, or a solid resource available, then you’re not going to last very long in the market in which you’re operating. You will have to contend with all sorts of running costs, ranging from accountancy fees to travel. Of course, it’s inevitable that not all of your clients will settle their invoices on time. 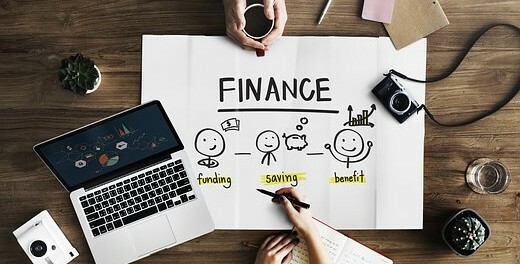 So, as with your personal finances, you need to budget for the month and months ahead, ensuring that you have enough liquidity to keep going – even if all the income you anticipated has not come in on time. You also must be realistic. If you can see that the business just isn’t working, then don’t keep throwing money at what you’re doing in the hope that things will get better. You need to take a long, hard look at what you’re offering, and whether there’s still a market for it. Don’t blow any start-up capital completely, and don’t pour lots of your own money into a business. You could end up losing everything you’ve saved and built up. If in doubt, ask for specialist help. Like in your personal life, it’s best to shop around when you’re running a business. Don’t just buy supplies and equipment without checking out deals, doing your homework and seeing if you qualify for any corporate discounts. If you need some office space, also take time to look for the best deal for your company. Renting space doesn’t come cheap, and you could get tied into a lengthy contract with penalties, so make sure you know what you’re signing up for. If you need a storefront on a busy street to sell your goods and services, then equally, you should be careful. Take time to visit various properties in different locations, do your research about the local market, potential customers, and any other local competition. You will also need to think about whether you’re going to rent, lease or buy – that will depend on your business model and the finances you have available.